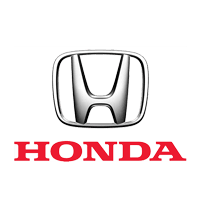 Both of the Drift Bridge Honda dealerships at Gatwick and Redhill have introduced countless drivers throughout Surrey and West Sussex over the years to successive versions of the Honda Civic, one of the manufacturer’s most popular models. We are excited to be part of the launch of the eagerly awaited tenth-generation 5-door model next month. The new 5-door Civic, in the words of the manufacturer, represents a “move to the future”, with numerous innovations bound to excite drivers considering the model for the first time as well as those who have been enjoying its style and performance for years. The razor-sharp, geometric aesthetics of the bodywork, with its gaping air intakes, ferocious-looking LED headlights and low roofline, are just one of the delights offered by the new model. The fierce new design is complemented by a more upright, engaged driving position generating a greater sense of connection with the road – all the better to enjoy the crisp steering and excellent cornering capabilities generated by the re-engineered chassis and Agile Handling Assist.